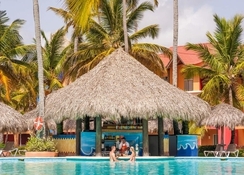 Enjoy a wide range of leisure activities in the adults-only Punta Cana Princess for an unforgettable vacation. This complex offers guests spacious and bright rooms, decorated in modern and contemporary style where light colours provide a pleasant feeling of freedom that is very favourable. 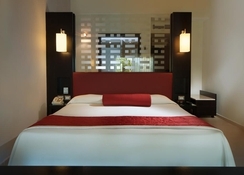 Rooms are equipped with cable TV, whirlpool tub, balcony, minibar and coffee maker. The hotel houses a spa where you can enjoy a wide range of treatments for relaxation and comfort, five restaurants where you can taste delicious dishes and a cafeteria. It also has a fitness centre, several tennis courts and a mini golf course. It also has a private car park where guests can park their vehicles. A number of services are provided such as concierge service, luggage storage, tour desk, 24-hour reception, ironing service, dry cleaning service, laundry service, car rental and packed lunches. 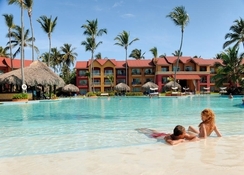 In Punta Cana you will find the Punta Cana Princess, a great choice to spend an unforgettable vacation. 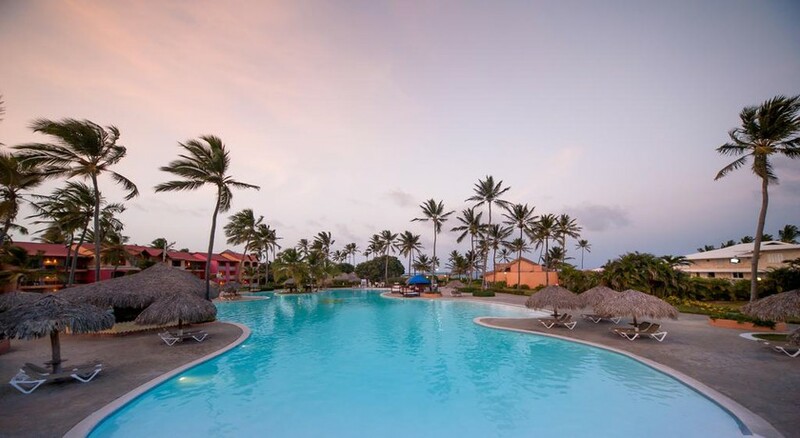 In the surroundings of this complex you can find many places of great tourist interest such as Punta Blanca – 4.5km, Bávaro lagoon – 24.5km, Dolphin Explorer – 23.3km from the hotel. 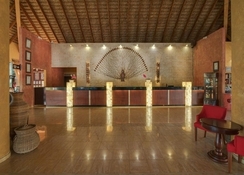 Enjoying a beachfront location, the hotel is about 27km from the Punta Cana International Airport. 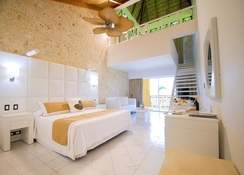 Punta Cana Princess features a total of 270 suites for guests divided into 256 suites and 14 honeymoon suites. Rooms at this property have cable TV, a spa bath, balcony, minibar and coffee maker. They are spacious, bright and equipped with everything your guests may need during their stay. Guests can choose from Deluxe Suites, Deluxe Ocean View Suites and Honeymoon Suites. 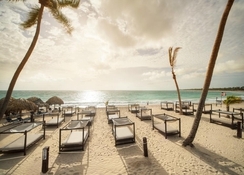 Punta Cana Princess features five restaurants offering dishes made with quality products, and a snack bar. Choose from a variety of delectable preparations at the buffet restaurant Casabe, Mediterranean cuisine at Mare Nostrum, steaks, salads and more at Steak House Rio Grande, Italian cuisine at Italiano Il Bacio, and Swiss delicacies at Suizo La Petite Fondue. There are three bars at the hotel. The hotel has an outdoor swimming pool, several tennis courts, a mini-golf course, a spa that offers a wide range of treatments and nightly shows. It has a private parking and provides services to its guests of concierge, luggage, tourist information, reception open 24 hours, ironing service, dry cleaning service, laundry service, car rental and preparation of packed lunches.